This is a highly polished Money Drop Slot Frame - Stainless Steel, used to cover the opening in the table where the money (chip/coins/bills) falls through to the drop box. 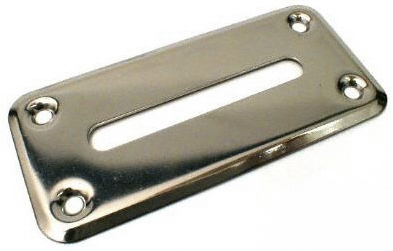 This stainless steel bill slot frame will last a lifetime. If you need the stainless chip slot frame see item 70-0009. The bill slot opening is 2-7/8 inches long by 3/8 inches wide. The overall outside dimensions of the plate are 4 3/4 inches by 2-1/4 inches.